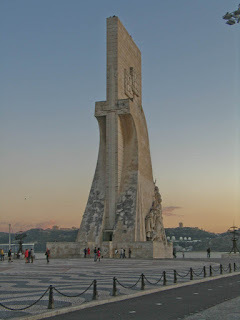 Through the peephole of a tram window, Lisbon charms, seduces and dazzles. Portugal loves its sardines. The little coastal nation's insatiable appetite for the small fish is evident in the wide variety of retro-designed tins of sardinhas portuguesas you often see stacked in shop window displays. Little wonder, then, that the locals seem quite unperturbed by the crush on-board the packed No 28 tram, as it trundles through downtown Lisbon. I reckon if you ask a journeying Lisboeta if he feels like a tin of sardines, the answer will probably be, oh yes please, with some chips on the side. 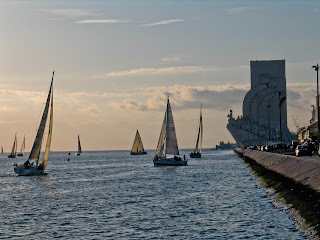 But if it's standing room only when you get on these iconic yellow Second World War-era electricos, blame the tourists. 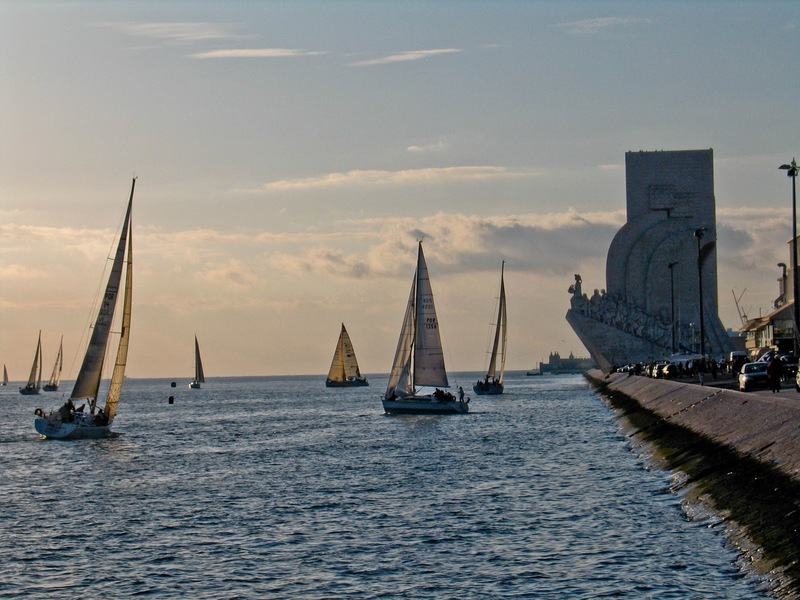 Tens of thousands of visitors a year make it a point to view Lisbon through No 28's wooden-framed windows as it lurches its way through the hilly city's narrow, cobbled streets. Lisbon has had an electric tramway network for 110 years, and though many of the routes now run modern, articulated three-car designs, the Remodelado vintage trams faithfully ply a select few routes of historic - and touristic - value. The single carriage is designed to accommodate 42 people, but many more squeeze in - with a carefree joyrider inevitably hanging off the wooden step on the nearside rear corner of the tram. (And the guys who get on at a stop and quickly get off again? Pickpockets, for whom a carload of distracted tourists is like an all-you-can-eat buffet. Keep a tight hand on your valuables.) To get the best out of the journey, you need a window seat. So, armed with a €5 all-day ticket, clamber aboard a No 28 at its eastern starting point, Martim Moniz. Sitting on the bench right up front, on the left, will get you not only a great street view, but you can also watch the driver spin and yank the quaint metal wheels and cranks that steer and stop the old beast. Break over, the driver flicks a switch, and the tram's pantograph slowly rises to draw its lifeblood from the tangled grid of electric lines overhead. With loud trings of an electric bell to warn errant pedestrians and motorists out of the way, the tram sets off up Avenue Almirante Reis. Looping southward into Graça and towards the historic district of Alfama, it's like riding a jerky rollercoaster. You pass through narrow streets dripping with character, a couple of arms' lengths from graffiti-covered walls, tiny balconies and little independent shops, teetering on the narrow-gauge tracks and diving down sloping streets before climbing again with a ratchety wheeze. Now and then, when a vehicle has been carelessly parked too close to the tram's path, the driver stamps on the brakes, jumps out muttering under his breath, folds in a mirror, and carries on. 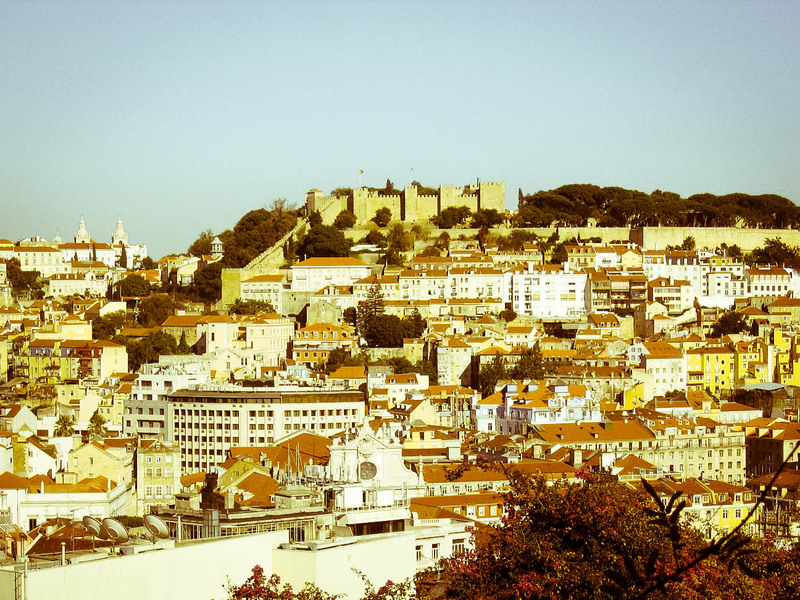 Alfama, one of the few parts of the city that escaped the devastation of the magnitude-9 earthquake in 1755, is where you experience Old Lisbon. An afternoon wandering through its maze of lanes and taking in the local colour is time well spent. Lisbon's half a million residents enjoy some of the warmest winters in Europe - it was a balmy 20 degrees even in late November - and bright blue skies streaked with aeroplane contrails provided a calming backdrop to the bustle of the Fiera da Ladra flea market. Impromptu stalls sprawl across half a dozen streets selling everything from framed paintings, maps and leatherbound books to old toys and dolls, electronics, curios and bric-a-brac, against a backdrop of melancholy fado music straining from portable stereos. One man's debris is another's nostalgia - or a bargain antique waiting to be unearthed. I duck into a busy cantinho for a simple, tasty lunch of stewed fish and potatoes. 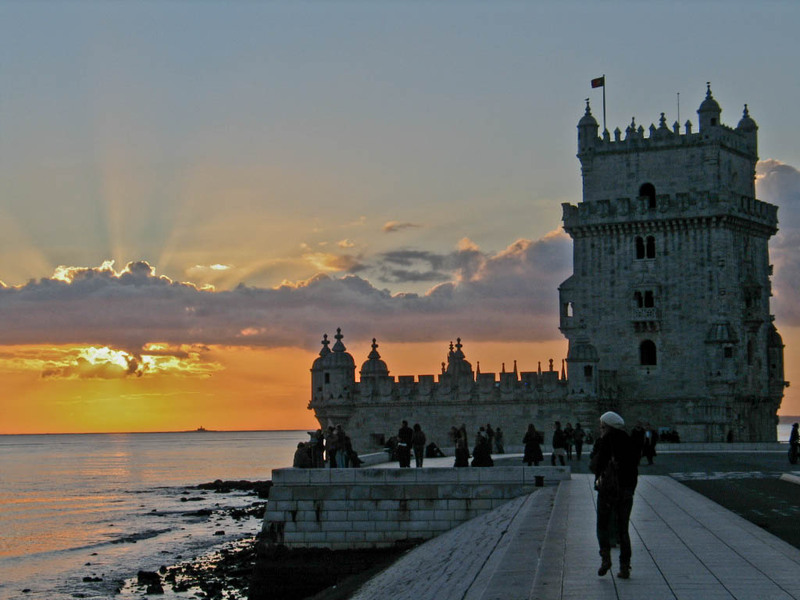 The Portuguese love their food, and celebrate it with unpretentious, authentic, flavoursome meals. Cervejarias, often run by grandmotherly women, serve up delicious meals of seafood (salt cod, grilled sardines or mackerel, stewed shrimp and clams), bife steak or alheira or chouriço sausage, served up with a runny fried egg, chips and rice. 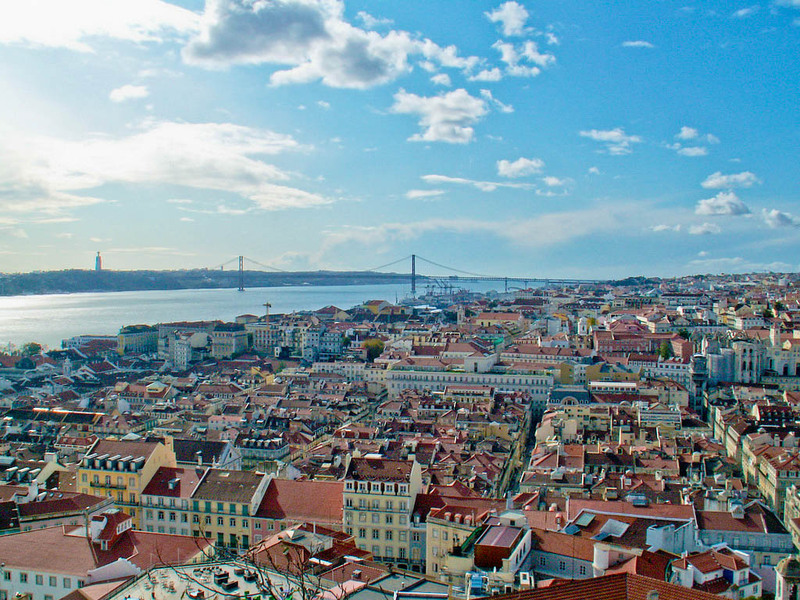 A few stops further down the No 28 route, the Miradouro de Santa Luzia terrace offers stunning views over an expanse of pastel-coloured walls and red-tiled rooftops, to the River Tagus as it heads towards oblivion in the Atlantic. Park yourself at a café, nurse a strong coffee and listen to a local folk guitarist or African street musicians busking. Just around the corner is the grand hilltop fortification of the São Jorge castle - living witness to the Crusaders' successful siege in 1147, part of the Reconquista which eventually succeeded in expelling the Moors from Iberia. Ensconced within the castle's cannon-lined ramparts - which offer sweeping cityscape views - are gardens with shady trees and benches to relax on, with peacocks for company. 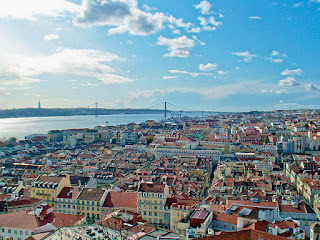 Back on the No 28, you exit Alfama at the Lisbon Cathedral and head toward the contrasting orderliness of Pombaline Baixa - the pedestrianised section of downtown Lisbon that bears the name and handiwork of Sebastião José de Carvalho e Melo, the Marquis of Pombal. Prime minister at the time of the 1755 quake, Melo entirely rebuilt the area with a grid of wide streets, pioneering the construction of quake-resistant buildings using a latticed wooden framework. The smooth cobbled avenues are now full of shops, street performers and snack bars - the standing-only shops popular with passersby for quick, cheap, hearty soups, croquettes, savoury bakes, pastries, tarts and coffee. Heading south on Rua Agusta, the grid's main avenue, through the grand Arch of Triumph and its regal yellow-and-white flanks, you emerge on to the serene expanse of the Praça do Comércio, a vast and beautiful square adorned only with a statue of Dom José 1, the mid-18th century Portuguese king, on horseback, looking out over the water. Back in the day, the royal's stony gaze across the horizon would have taken in ships heading out to Portugal's far-flung colonial empire, stretching across the seven seas from Brazil to Mozambique to Goa to Timor, or limping back from battle with rival navies. Today, mirroring the steady reduction of Portuguese power and its contraction back to a peaceful and parochial tourist paradise, his challenges seemed far humbler, in the form of persistent pigeons and the constant flashes of cameras. I turned back to continue my journey on the No 28, waiting until the next yellow carriage eventually came clanking up the road. Thankfully some things, at least, have stayed the same. 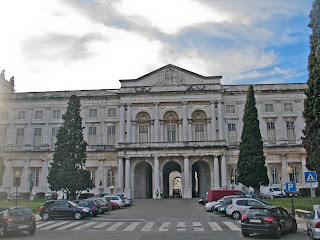 The Ajuda National Palace (Portuguese: Palácio Nacional da Ajuda) is a neoclassical monument in the civil parish of Ajuda in the city of Lisbon, central Portugal. Built on the site of a temporary wooden building constructed to house the Royal family after the 1755 earthquake and tsunami, it was originally begun by architect Manuel Caetano de Sousa, who planned a late Baroque-Rococo building. 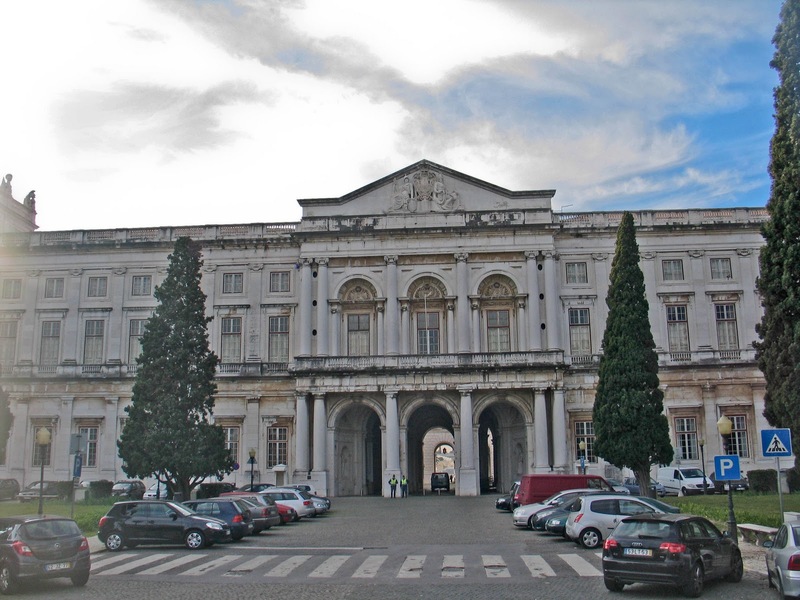 Later, it was entrusted to José da Costa e Silva and Francisco Xavier Fabri, who planned a magnificent building in the modern neoclassical style. 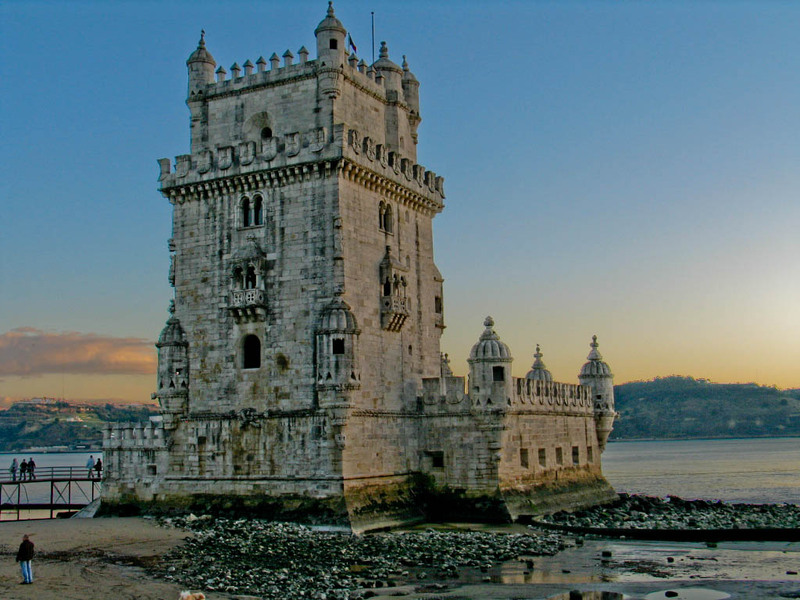 Lisbon is well-connected to other European capitals by air. Emirates flies to Lisbon via London and Madrid. Lisbon's airport is to the north of the city, and a hassle-free 20-30 minute journey on the dedicated Aerobus (three each hour) takes you downtown for €3.50. A taxi is €12-15. Brown's Downtown (Baixa): Stylish and contemporary boutique hotel, well located for all the downtown action. Friendly staff, free coffee machine and even a Macintosh desktop in each room. Doubles €55-80/night. www.brownshotelgroup.com. 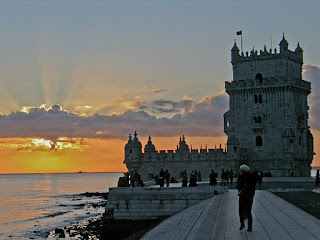 Solar do Castelo (Alfama): Uniquely located within the medieval walls of the Sao Jorge castle overlooking the city, this eco-heritage hotel is set in the converted outhouses of the Alcacovas Palace. Doubles €140-180/night. www.heritage.pt. 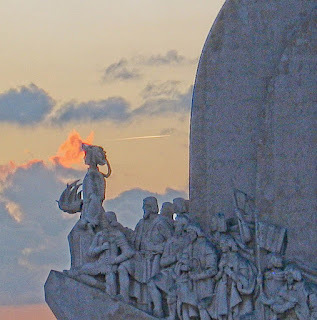 Padrao dos descobrimentos in Lisbon is a historical structure that is dedicated to the people of Portugal who participated in the Ages of Discovery during the 15th & 16th Centuries. 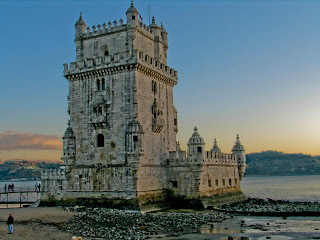 Nice work and all information about the lisbon tourism that's are very amazing well done. I visited your blog for the first time and just been your fan and get many informative information about the căn hộ Lavita Chảm. I Will be back often to check up on new stuff you post well done.